The Panasonic AG-DVX200 4K Camcorder with Four Thirds Sensor and Integrated Zoom Lens boasts professional features inside a familiar camcorder design. The 4/3 sensor produces a similar out-of-focus quality that you'd find on many DSLRs. Thanks to 2 kinds of image stabilization, this camcorder is well-equipped for handheld filmmaking. The integrated lens gives you a wide range of focal lengths and allows complete mobility out in the field. Adding to the mobility is a built-in microphone with the option to connect an external mic via XLR. There is also an integrated, detachable infrared filter so that you can record 4K footage in complete darkness. The built-in lens sports 3 manual rings for mechanical zoom, focus, and iris control. You can select from a variety of recording modes, from 120 FPS FHD to 4096 x 2160 4K. A 64GB SD card will hold approximately 80 minutes of 4K/24p data or about 55 minutes of UHD/60p data. Approximately 160 minutes of 4K/24p data will fit on a 128GB SD card. You can do dual codec recording with the 2 card slots. 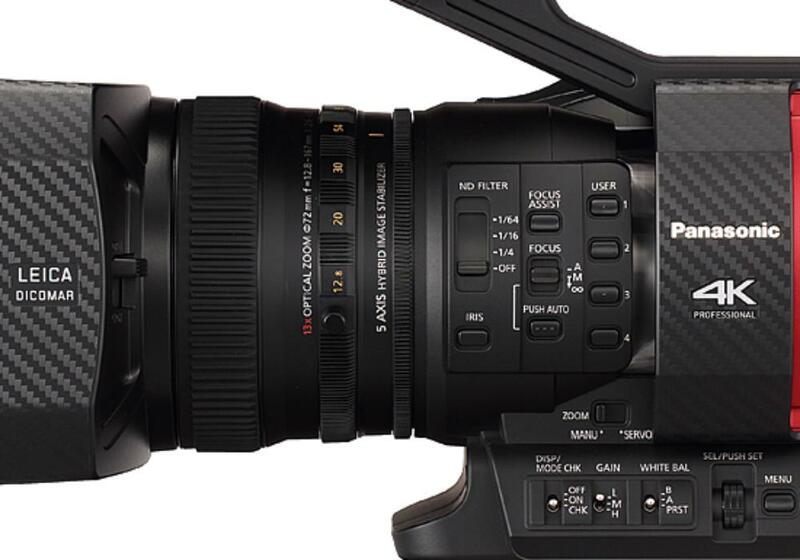 The EVF and large touchscreen LCD allow for critical focus and there are several focus assist settings options. 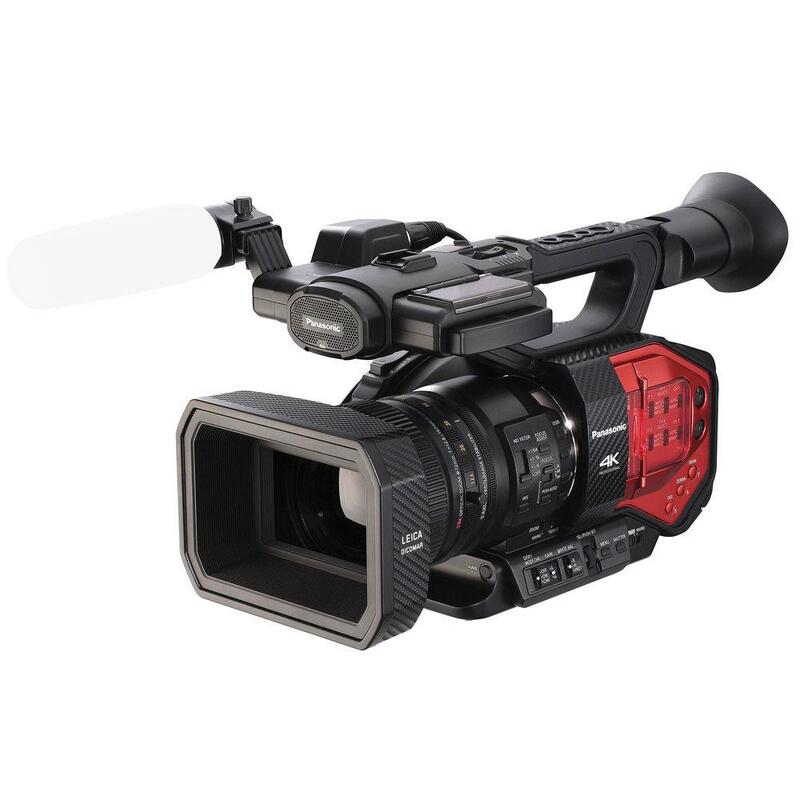 This camcorder is ideal for on-the-go shooting and for recording a lot of hand-held footage. • This camera has a built-in 29.5-384.9mm (35mm equivalent) 13x zoom Leica Dicomar lens and you will not be able to remove it for other lenses. • This camera accepts (2) SD cards (U3 class required for 4K). SD cards are not included and can be rented separately. • The built-in lens on this camera has a 72mm filter thread that can hold wide angle conversion lenses. Performance not guaranteed. Experiment at your own risk.